Mediation Path Silicon Valley, LLC - Family Dispute Mediators in San Jose CA, "Mediation Path Silicon Valley - Mediators in San Jose CA"
Linda is an attorney in San Jose, California. 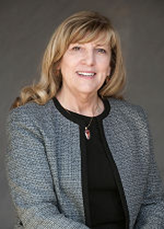 Her practice specializes in trust, estate planning, trust administration and probate. She volunteers as a mediator to Santa Clara County. Linda received a 40-hour training in interest-based mediation through Compassion in Understanding in Conflict, as well as completing the 40-hour program through the County of Santa Clara. Linda has been a member of Collaborative Practice for ten years. She routinely takes classes at Stanford in neuroscience, brain functioning, compassion, and graphic recording. Linda believes that mediated settlements are preferable to court decisioned cases. Linda works to be the mediator who brings peace into the room. She has completed the compassion class through Stanford's Center for Compassion and Altruism Research and Education (CCARE). Sophia is an Alumna of La Sorbonne Law School in Paris.Before settling in the US in 2007, Sophia lived in France in England and in Germany where she worked for different companies. She spent most of her professional life negotiating deals in a large variety of situations. Sophia has extensive negotiation skills, she understands the necessity of listening " above and beyond" the conflict and is an all time supporter of transactional conflict resolution. Sophia also has the ability to adapt to a large variety of situations and personalities across cultures. Sophia is currently a real estate agent in Santa Clara County and has dedicated part of her business to help and assist buyers and sellers in difficult situations such as foreclosure, divorce, probate. Sophia received a 40-hour training in interest-based mediation through Compassion in Understanding in Conflict. She also assists as a pro bono mediator in the Santa Clara County Superior Court. To better serve you MPSV partners regularly attend classes pertaining to the latest the trends in conflict management. In school we learn to write as a fundamental building block for communication, and drawing is shunted away to “art class.” But scientists like Charles Darwin and Marie Curie and mathematicians, choreographers, and composers all have used sketching to give form to their ideas. Words are abstract and ambiguous, and can lead to miscommunication. We say a picture is worth a thousand words, so why do we discard this critical tool? Drawing is not just for so-called creatives. Drawing allows you to ideate, communicate, and collaborate with your team. Stop talking around your vision, and get it on the whiteboard where your team can see it. Creative thinking is the key to navigating our increasingly unpredictable world and can solve complex problems that leave linear thinkers baffled. The confidence to deliver unorthodox, creative solutions can be gained through a process called “adventurous thinking.” Adventurous thinking combines a healthy disregard for failure with five creative lenses: negative space, new perspectives, thinking backward, rethinking the present, and disruptive thinking. These lenses can help you block out the distractions all around you so you can focus on the relentless flow of the information we receive 24/7 and use it to ideate and problem-solve in useful, very relevant ways. Professor Mizrahi studies plasticity of the olfactory and auditory systems using a combination of imaging, genetic and physiological techniques. Review key aspects and dynamics of Intimate Partner Violence (IPV), lethality characteristics; traumatic brain injury; potential basic impact on all victims including elders, members of LGBTQ and immigrant communities; trauma informed services for victims in Family Court and Juvenile Dependency Court; community based services. Dynamics of IPV committed by those of higher wealth, power, and influence & as evidenced in the legal process; commonality of post traumatic mental health consequences for survivors; video segment from presentation on “Megyn Kelly Today” show; “threat assessment” informed safety planning including “pathway to violence” and “pathway to freedom”; link between DV, domestic terrorism and mass shootings. Traumatic impact of exposure to violence on a child’s developing brain within the context of Adverse Childhood Events (ACES) and other short and long term potential consequences of exposure to domestic violence and cumulative trauma. Trauma informed considerations for working with litigants including recognizing, preventing and ameliorating vicarious trauma and burnout. Practical tools and techniques for generating creative solutions in difficult situations through simulations, role-playing, videos, and discussions. Mediation phases : opening statement, convincing, storytelling, face to face, brain storming, negotiation techniques, closure. The BURST concept. Mediation and confidentiality. Mediation and neutrality. Who Can You Trust? Self Reflection for Conflict Professionals Intensive. Communication is at the heart of effective negotiation.The most skilled negotiators understand the importance of asking good questions and listening to discover key issues and interests, and observing, reflecting, and summarizing throughout the conversation to build relationships. They also understand how to frame issues collaboratively, share information persuasively and balance assertion with listening and curious exploration.